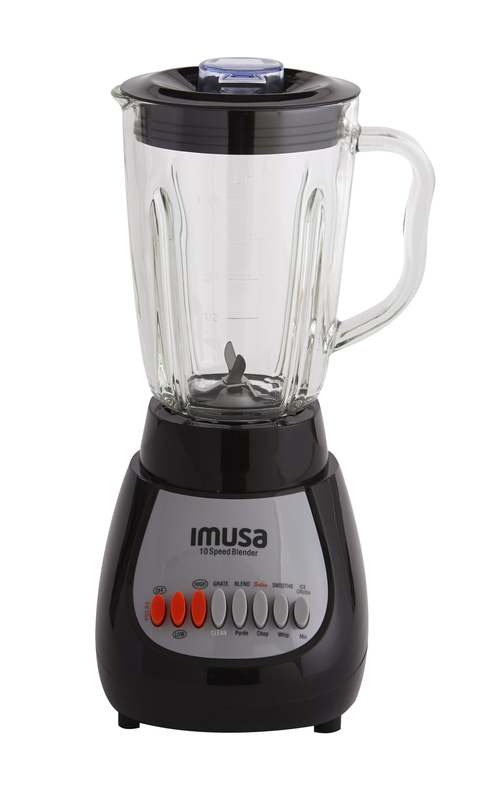 The IMUSA 10 Speed Blender makes blending a snap! 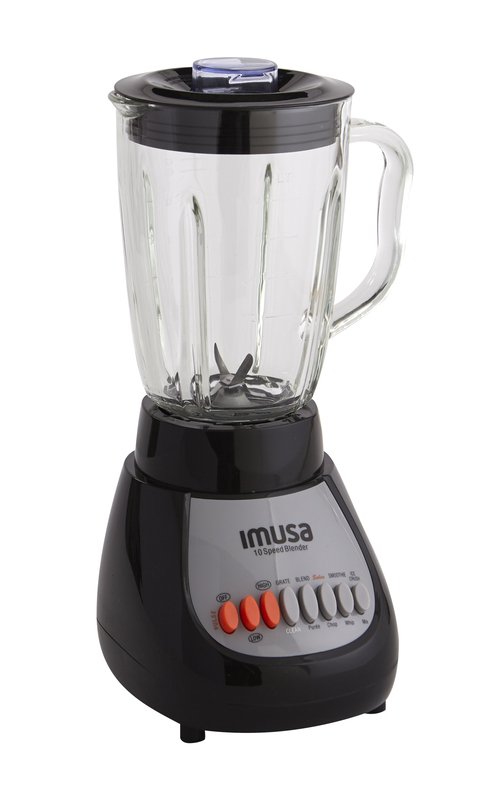 This blender is durable and versatile, making everything taste fresh and delicious. 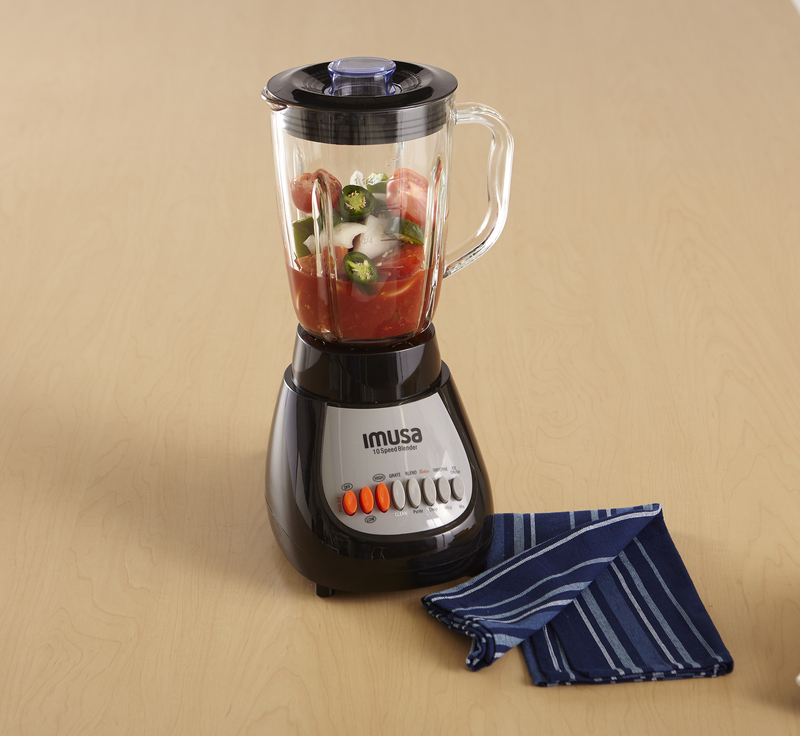 Create the consistency you desire with the 10 speed selections. 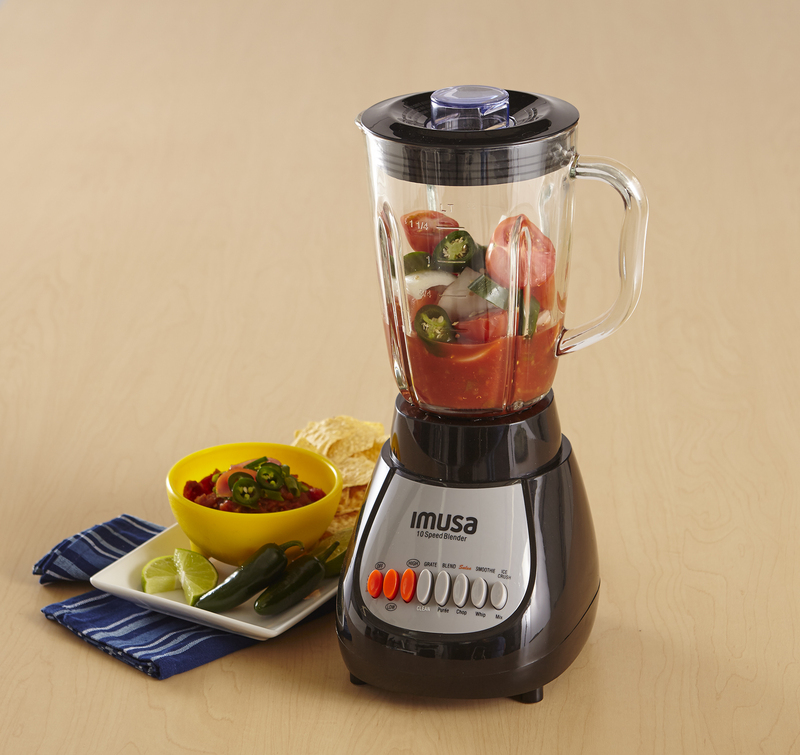 Blend frozen ingredients and crush ice with ease, or make fresh salsa by using the blender’s salsa option. 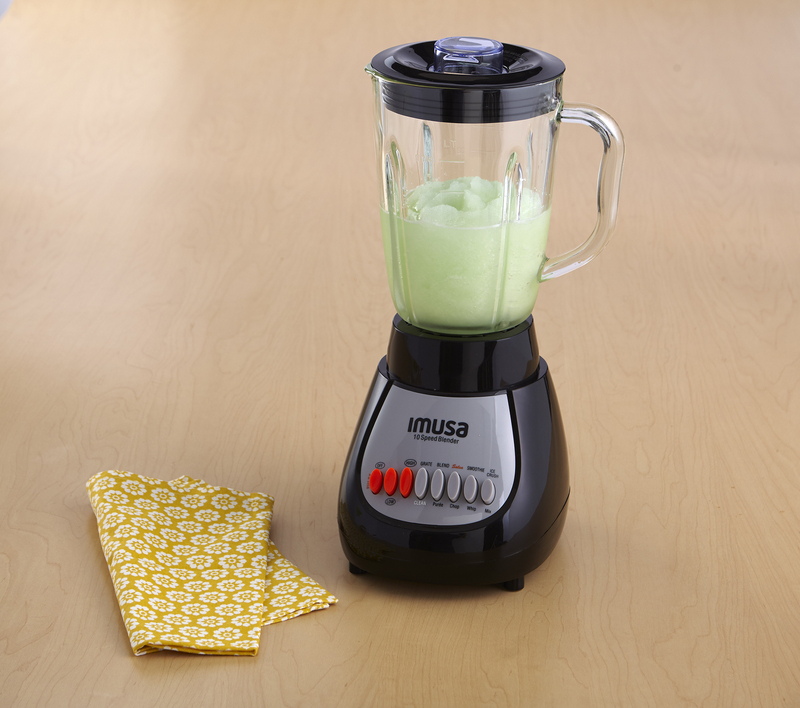 Get creative with smoothie and milkshake recipes and indulge yourself with a healthy breakfast option or late night treat! 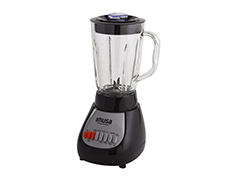 The sturdy glass jar is designed to continuously guide ingredients into contact with the stainless steel blades, giving you a perfectly blended result each and every time. 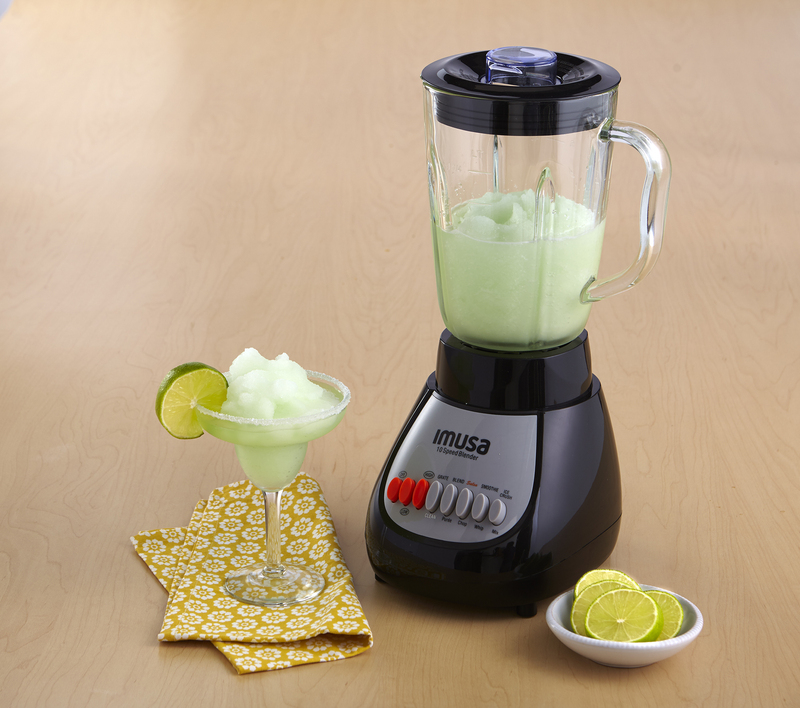 Plus, the lid comes with a 1 ounce measuring cup to help you make tasty margaritas or other scrumptious drinks! Dimensions: 9.57 in. L x 8.27 in. W x 13.39 in. H, 2.7 lbs.